There is a red error showing on audit posts when reviewer wants to post a comment. I think this is something that should be fixed, as it's confusing behaviour. I believe this start happening after the change, that commenting should not lead to failing review audits. However is the red error is the expected behaviour? 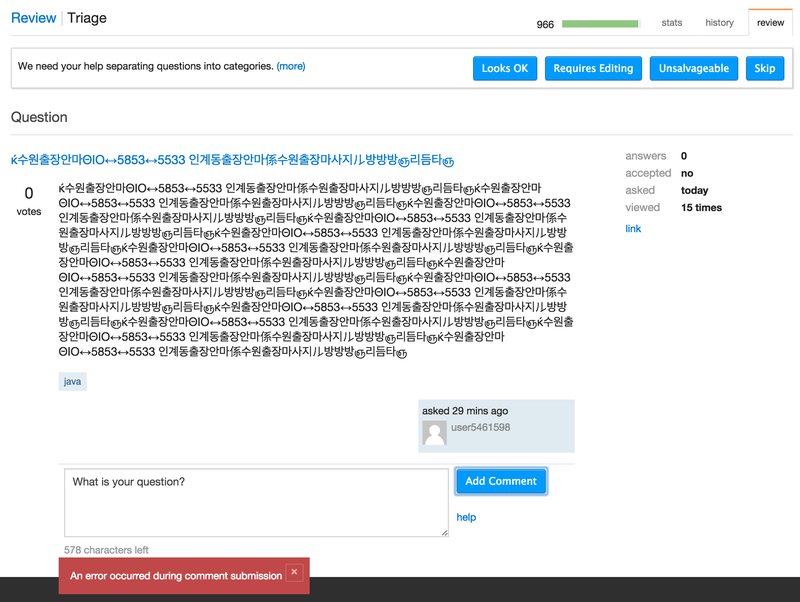 Browse other questions tagged discussion bug comments review-audits error-message .